Samantha received another visit from the Tooth Fairy last night! 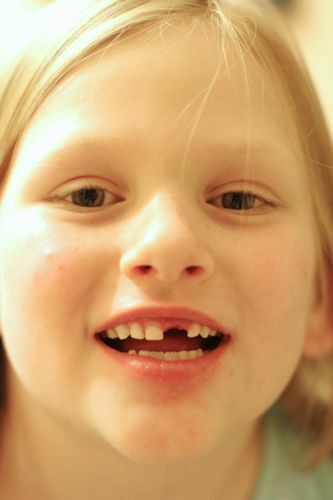 The top front tooth had been wiggly for months, it seemed. She was not willing to pull it out, but occasionally complained about it hurting when she was eating. Duh! Finally, I convinced her to let me pull it! After going to the dentist, they said the other top tooth is wiggly too! It will be a while before it comes out, knowing my girl. That’s ok. The permanent tooth isn’t coming in yet on the first one.